Brett joined Ellenbecker Investment Group in June of 2015 as the Director of Business Operations and assumed the role of Chief Compliance Office (CCO) in June of 2018. His primary responsibilities include working closely with the EIG leadership team on all aspects of practice management, compliance, operations, business services, IT and client services. Brett has served in many roles over his 28 years in the industry. 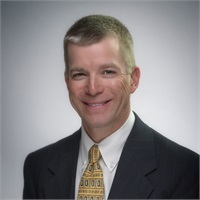 Starting with Robert W. Baird & Co. in 1991, Brett quickly moved his way up the ranks to become a Senior Vice President and Director of Cashiering and Treasury Management. Prior to joining Ellenbecker, Brett was a senior manager overseeing cash operations, performance, shareholder operations, client billing and client reporting at Artisan Partners, Limited Partnership. Brett has a bachelor’s degree in Economics from the University of Wisconsin – Madison where he also was a 4-year member of the UW Marching Band. He also has an M.B.A. from the Lubar School of Business at the University of Wisconsin – Milwaukee. Brett spent most of his life here in Southeastern Wisconsin and he currently lives on Lake Keesus in Hartland with his wife Tricia. His daughter is attending the University of South Carolina and his son is studying CNC Machining and Tool & Die Making at W.C.T.C. Away from the office Brett enjoys traveling and all things outdoors including scuba diving, and all activities on water and snow.